Widening or darkening of the longitudinal melanonychia was observed in approximately 82% of cases. 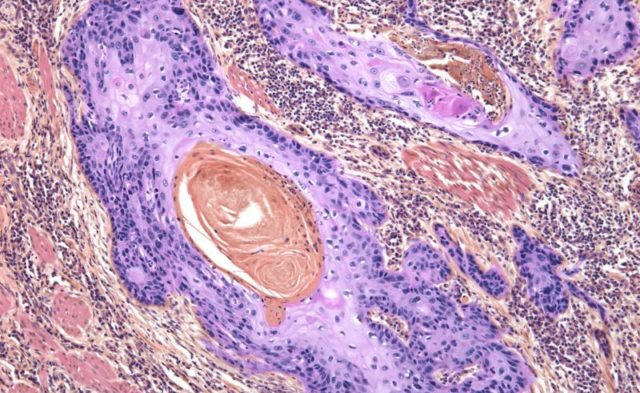 Identifying nail unit melanoma (NUM) at an in situ stage allows early treatment and possible cure of the tumor, according to results published in the Journal of the European Academy of Dermatology and Venereology. When diagnosed at an early stage, functional surgery has an excellent oncologic safety profile for treatment of NUM. The study included participants with a confirmed diagnosis of in situ NUM (n=63). The researchers retrospectively reviewed participants, analyzing demographics, clinical presentation, therapeutic data, and follow-up. The mean duration of symptoms prior to consultation was 4.3 years, but the duration ranged from 3 months to 28 years. 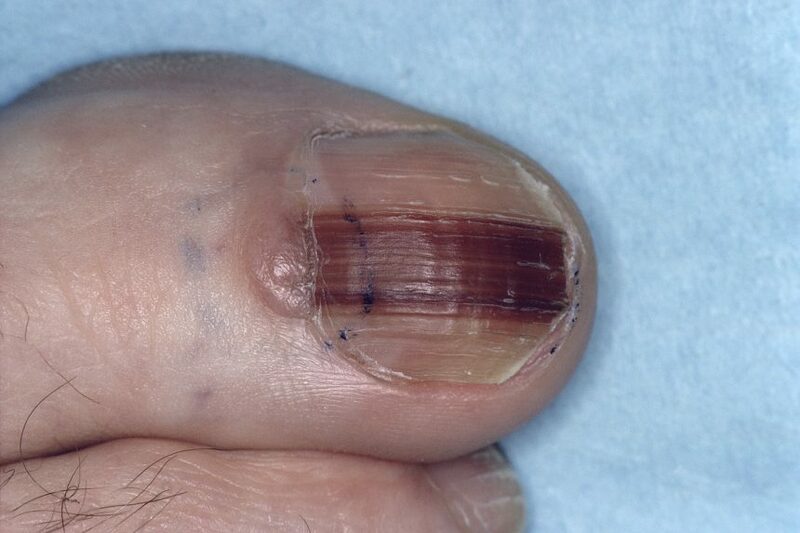 In 92% (n=58) of cases, the clinical presentation was longitudinal melanonychia. The thumb was most commonly affected and was involved in 44% of cases (n=28). In 82% (n=46) of cases, participants’ medical history indicated a widening and/or recent darkening of the melanonychia. In 89% (n=56) of participants, NUM was treated with en bloc excisions of the nail apparatus. The other 7 participants underwent amputations of the distal phalanx. During a mean follow-up of 10 years, 2 participants had in situ recurrences. “Continuous enlargement and modification of monodactylic [longitudinal melanonychia] are the major diagnostic criteria for nail in situ melanoma. Even if narrow or pale, a recent monodactylic [longitudinal melanonychia] could be a melanoma and should be carefully monitored and, or, excised,” the researchers wrote. “Long-term follow up with annual dermoscopy of the entire fingertip for at least 20 years following the early detection of recurrences is mandatory,” concluded the investigators.